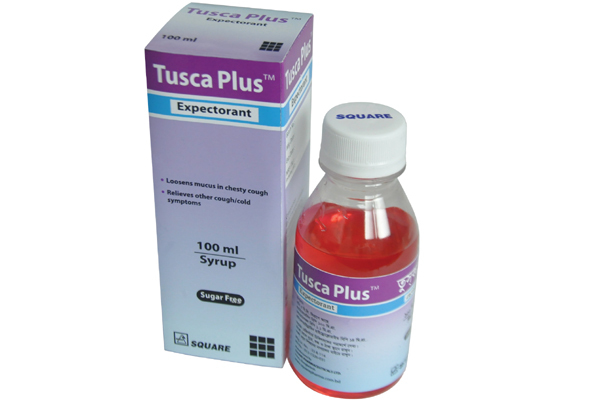 Tusca PlusTM is indicated for the symptomatic relief of upper respiratory tract disorders accompanied by productive cough. 12 years & above: 10 ml 4 times daily. Each PET bottle contains 100 ml syrup with a measuring cup.